I am new to this group, and would like to get some general feedback regarding the progression of cataracts. I am not currently seeing (!) any kind of eye doctor. Started to need reading glasses perhaps 15 years ago, cheapos from drugstore. Eventually needed glasses for distance vision and driving, got bifocals, hated them. Kept cheap reading glasses, got distance vision glasses for driving. About 2 years ago reading became easier and easier, can read 80% of material without glasses, no problem. Distance vision has also improved to the point where I needed less magnification. I was told in 2016 that I am starting to develop cataracts. So far the only negative aspect is the halo effect when driving at night, especially when it is raining. Otherwise no problems. Does one wait for symptoms to develop/worsen, or get myself to an opthamologist now? How long can I hope for this so-called 2nd sight to last? How quick can I expect the eventual deterioration to be? Has anyone heard of or received the new lens (I think it’s called adjusted depth of focus lens?? I appreciate any comments or advice from people who have dealt with this fairly common eye problem. I had a multi-focal lens put in my left eye in 2017. My cataract was also causing halos at night and it was starting to bother some when I drove, so that was the main reason I chose to have surgery and not wait for any further decline in my vision. The lens I had put in was suppose to make it possible to no longer need glasses, except perhaps for close-up, small reading (menus, etc.). I have had astigmatism almost all my life and have wore glasses for that, but otherwise my vision has been quite good. Unfortunately, the multi-focal lens did not eliminate the halos, and my vision without glasses improved very little. The glare at night when driving and with certain indoor lighting, intensified! I had a small cataract on my right eye that I had intended on removing a week later after the first surgery, however because of the poor result of the first surgery, I did not dare do a second multi-focal. The surgeon also agreed that a second multi-focal would not be advisable, and to wait to see if vision/glare issues would resolve. They did not, and I am going to have right eye cataract removed in 2019, but will have only a regular lens with astigmatism correction in it put in. If I had the same result with a second multi-focal lens I would not be able to drive at night again….the glare/halos are very distracting and cause eye strain. I am hoping that with the astigmatism correction and removal of this second cataract, my night vision and vision in bright lights will see improvement. I strongly urge you to really do your homework on your lens choice when you do have cataract surgery. Removal of a lens after you've had one put in has risks that I did not want to take, so again, do your research. I wish I had made contact with others who had this type of lens put in before I had my surgery and found out what their experiences had been. Also, in case you are not aware, not all of these lens are covered 100% by insurance companies. My insurance company only paid for the regular lens, so I had to pay many thousand dollars out of pocket for the multi-focal. Hope my comments are helpful, and good luck! I have been free of cataracts for over three years. I have a wonderful ophthalmologist who suggested that multi focal lenses were a compromise and advised against them. I have worn glasses since I started school (eighty four years ago). So I am comfortable wearing them. I don't need glasses for normal (far) vision but wear bifocals all the time. who does hundreds of Cataract surgery every year. I totally agree with moo1. Find an eye surgeon with references. I have had both eyes done in last two years and doing fine. Had trouble with one eye and saw a different doctor for right eye do have to wear glasses but that's ok. The only correction for cataracts is surgery and I would recommend laser surgery. Knife surgery is still available but with laser surgery you are in out of surgery in 5 minutes and 2 hours in clinic. I am 85. I have cataracts growing very slowly and my vision has improved somewhat. My eye doctor says this is characteristic of cataracts. As they mature the shape of the eye changes a little causing an improvement before they get worse. My improvement has been for a couple of years so it is a slow process at least for me. I had RESTOR put into left eye. $7000. My money, around 2007/8 please read: https://us.search.yahoo.com/yhs/search?hspart=iry&hsimp=yhs-estor+lens // Dr. Barry Wolstan ruined my left eye forever. his contact number is 310-543-4546. RESTOR LENS put in, then I had to enlarge my text to 24 point bold on laptop. B4 : 8pt light, 6 point light type face. He said how great it was! a pretense. Tried to talk me into getting r eye done for more $$$$. I did not fall for that. He sent me to Dr. ( Head of Jules Stein, UCLA) had it taken out. Now when I am in my AZ home – sometimes dry air hurts my eye, also dust. I must wear an eye patch or keep left eye closed then get up and finish house work. Im a Graphic Designer – who used to b happy with my near sightedness. Making fine lines, reading 5-6 pt type etc. Also, same happened to good v-ball player, she Had Both eyes done by Wolstan. She would go for the ball and her depth perception was screwed up. She had to give up v-ball. Depth perception off by bout a foot. Thanks everone for their comments. It helps to know that the multi-focal lenses are not the best choice, and that laser surgery is the way to go. I hope to be able to keep going without any surgery for as long as possible, and do my homework re. doctor and procedure when the time comes. My Optometrist gave me feedback on when was best to have my Cataracs removed. I could tell later that I was not seeing as well as I should so I made an appt. to have it done. Was very easy. Nov 29th, i also had RESTORE LENS placed in my right eye for reading – with plans for a distance lens in my right eye. The day after surgery, I got really dizzy with room spinning, passed out, vomited – went to ER the next day with no clear answers as to what was going on. I was in bed for 8 days – taking meclazine and Valium prescribed by ER doctor. Doped up, I finally was able to ride to Opthamolgist office – was told my condition had nothing to do with the lense. My vision test was 20/20 – so I was pleased but baffled as to what was going on with my dizziness. Gradually, my vision has become blurry and surrounded by cobwebs in my visual field. My eye is sensitive to light, sore and painful, using / reading computer makes me dizzy. My eye feels strange – like a rock is in my eye socket. I regret having the surgery and am wondering if my body is rejecting the lense. I really don’t know what to do next, especially since dizziness (although impoved) has become such an overwhelming problem. I am wondering if the lense could be removed and perhaps, I could go back to wearing contact lense? Any ideas or input would be much appreciated. Masket, Samuel Dr – Advanced Vision Care / bad news, he no longer takes insurance – but, another Dr. in That office may help? Website: advancedvisioncare.com (310) 229-1220 Thank you Dr. Masket for taking the awful Restor lens out of my eye. You are THE BEST. I also had the halos at night so had my left eye done first. My eyes were such that I never needed reading glasses so this lens was for distant and was done by regular surgery, no laser. Two years later the right eye said it was time and had that done for close up so still don't need reading glasses. DR said that not all people can adjust to one eye for distance and one eye for close up but evidently that always happened to me. No side effects from regular surgery and lens replacement. GF on the other hand has had nothing but problems. Was told some of her tear ducts were not functioning so had the laser surgery in the left eye in October since it was supposed to have less damage to tear ducts. Almost immediately she felt like the eye was constricted and could see around the eye socket in her field of vision. Was dizzy. Now she has a black spot in the center of her vision in this eye and was told that was from a hemorage and would eventually dissolve. Really? Now she has dry eye and has to take drops 3-6 times a day. She had the right eye done about a month ago and also is now dry but doesn't not the side effects of the left eye. She has both eyes for distant and has such poor close up vision now that can't read or so can't do her seashell miniature work that she did before the surgery, even with glasses. DR came well recommended so still suffering on what to do about improving close up vision and constricted left eye and spots in eye. Thoughts? Oh, she had to pay for the laser surgery out of pocket, like $3000 out of pocket. I paid nothing for my normal surgery. 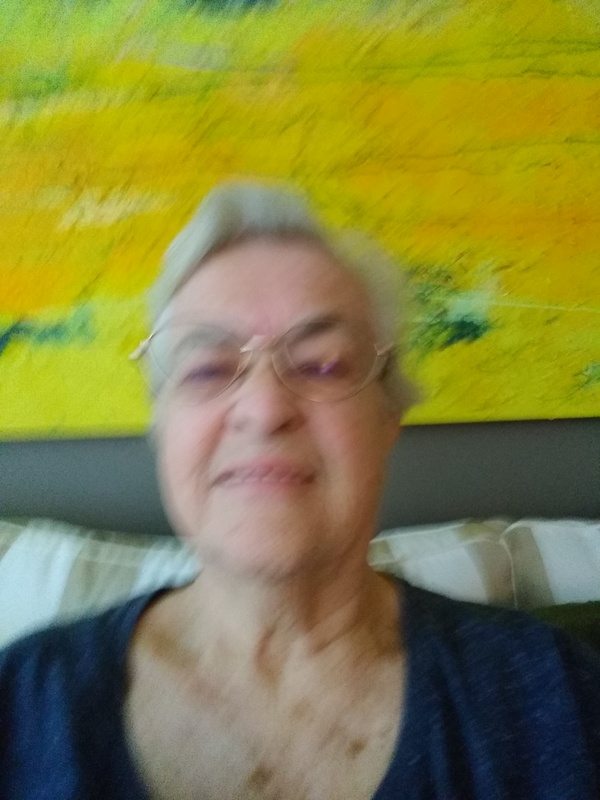 @hodagwi Thanks for responding but I had cataract surgery in 2009 on both eyes surgery not laser as someone said I have astigmatisms and Eye Dr corrected the new lens I do need to use glasses for reading and close work I have M D don't know if this is what's causing my symptoms now ? what are MD's? I also had astigmatisms so could never do contacts but don't remember DR even mentioning it when I had surgery.